Bake a Sunshine Cake – 4 years in a row now. Started in December 2015, when the community completed a year. 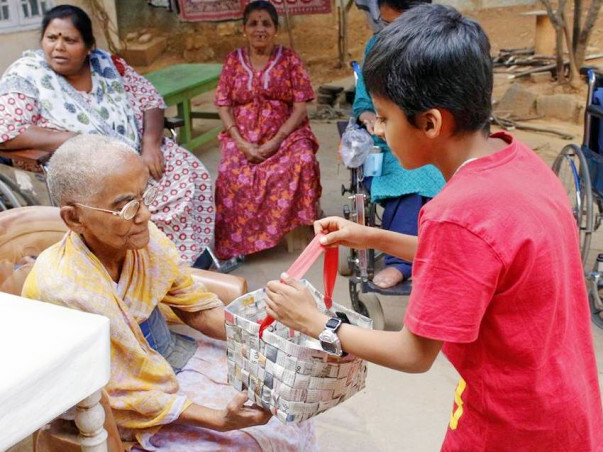 All over the world wherever bakers are present, in the month of December, they bake and take healthy homebaked goodies to old age homes, elder care homes, orphanages, homes for the homeless and distribute directly to anyone around them who they feel needs a little bit of warmth. So bakers have distributed it in the above places as well as to cab and auto rickshaw drivers, vegetable vendors, home delivery staff, housekeeping staff, sweepers who clean our roads, homes for the differently abled children, security guards, even old and abandoned street dogs! We have covered some Indian cities, as well as carried it out in some cities in the US and UK in the first 2-3 years. This year 2018, we are carrying it out in Dubai as well. OV BakeStreat - 45 volunteer bakers carried it out the first distribution for the ‪#‎OVBakeStreAT Program. Covering street children / children of migrant labour in 5 cities - Bangalore, Mumbai, Pune, Coimbatore and Delhi/NCR. The number of children expected to be covered on this first weekend of launch was 1000-1500. Finally we covered over 2000 children on the first weekend it was launched ( July 2016) and over 10,000 subsequently. 5 OMBC bakers baked for the kids at Jeevarathni Foundation, which cares for abused and trafficked children in Bangalore. 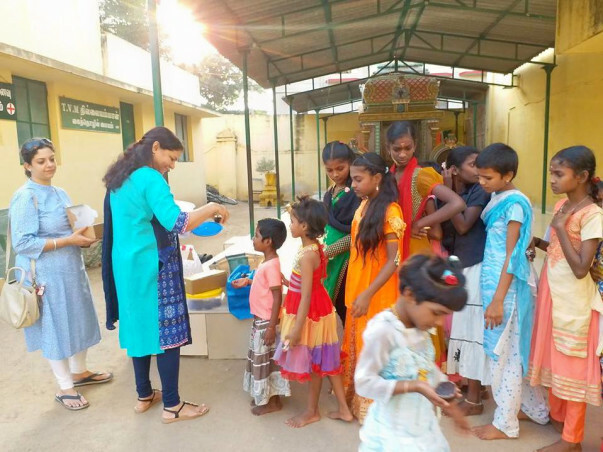 Partnered with Kritagyata Trust to bake (and almost 20-30 more bakers joined in as well and 80% of them were from OMBC) for 2000 children for a Children’s Day distribution in November 2016, at government schools in rural areas of Neelmangala close to Bengaluru. Again a huge set of bakers covered close to 3000 , in November 2017. The Community has been recognized by the Global COO of Facebook, Sheryl Sandberg in April 2017 and was invited as one of the influential community leaders across Asia, in an event conducted by Facebook, for 8 such communities from across the region. Sheryl was present to recognize and understand the work being done, there as well, in November 2017. The Government of Karnataka chose to collaborate with the community, for a key online contest run-up event as part of the International Millets Fair 2018 to promote use of healthy millets in our bakes. 1. To reach out to these children and help them experience the joy of baked goods since that is a huge rarity for them. 2. To ensure that through a nourishing healthy regular bake they gain nutrition in some form however small. An identified set of volunteer bakers segregated by local areas, across cities, in India will consistently distribute healthy baked goods on fortnightly basis to the street children in that identified area, on pre-scheduled dates to ensure regular as well as personal distribution.There are expected to be close to 50 bakers who will be involved in this program in the initial phase. These goods will be freshly prepared at home with utmost care for nutrition and hygiene. There will be a defined set of healthy baked goods that will form a part of what the bakers can choose to bake from. Additionally, partnerships with NGOs who are working with street children, children in urban slums and of migrant labour will support distribution of baked goods. The cost of baked goods for each child is Rs.150. We hope to impact 500 children with the funds raised. This will help in meeting the cost of the ingredients that will be used for baking the baked goods. The roll out of this program will be for 6 months. 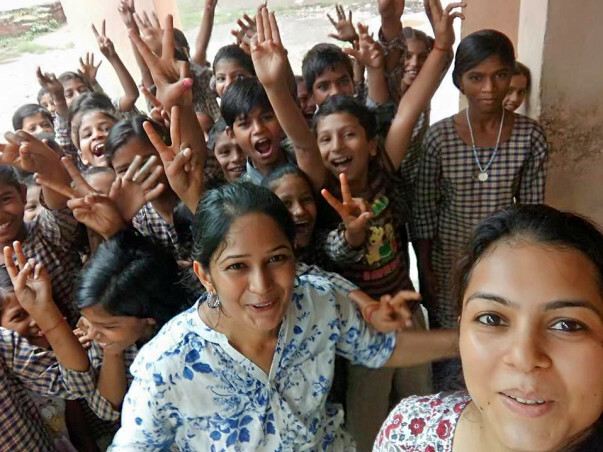 Ovenderful has been actively involved in fundraising bake sales and using baking to make a social impact for the past 4 years, starting with vocational training skills for girls at Search Years in Gurgaon, fundraising sales for animal welfare organizations and so on. 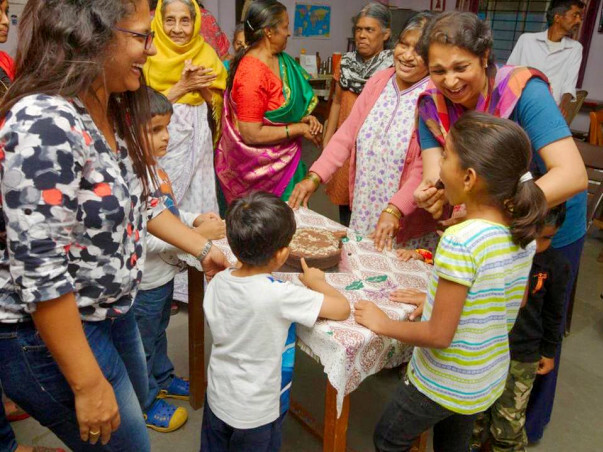 Ovenderful Mom Bakers Community, the FB group was instrumental in carrying out the extremely impactful "Bake a Sunshine Cake" initiative across cities in India where several volunteer bakers baked to bring sunshine in the lives of those in need within their communities, local areas, old age homes and orphanages. The same group is also focusing on the #PowerofOne initiative where some volunteer bakers have reached out to women in need and shared healthy bakes which are linked to women's wellness, and made them aware of how their health is important. 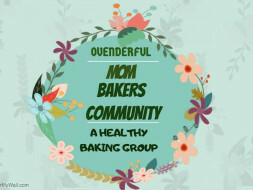 The Bake Collective: They will partner once a month in this program. Due to the posts from the past few months where we have been baking for large scale distribution I have been getting queries on how those who can't bake can contribute. Well, to give you some idea - every liner that we use for a muffin is usually in the range of Rs 2-3 a piece. So for 3000 children it becomes Rs 9000. The logistics of hiring a vehicle to transport those after picking up from a few collection points is an additional Rs 5000 approximately. That means Rs 14000 in total. And this excludes the costs the bakers bear so generously which can be another big value due to the ingredients, electricity and packaging. That's just one initiative and we are doing many such initiatives. Our bakes are always homemade and healthy. 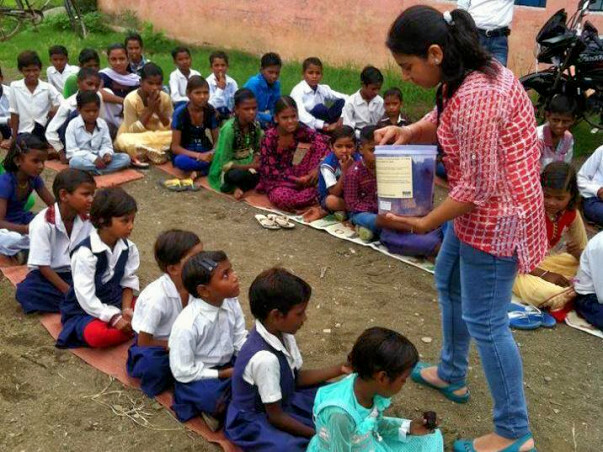 Our passion to make a difference is always high. We do it without any financial support and our intent is to do as much as we can that way. We have just finished baking and transferring 3100 muffins to Kritagyata Trust for Children's Day Celebrations 2018 at 15 schools across rural areas of Bangalore. We are also now preparing for distribution of healthy bakes at Mumbai, to some children in urban slums and in Dubai, to a school for differently-abled children. As we expand our global footprint, we need all support we can get to make this initiative sustainable. Please contribute to support us! OV BakeStreat has been recognized as one of the most unique and high impact programs by Sheryl Sandberg , COO of Facebook , and also at a community event in Singapore, across Asia. Thank you for your contribution at every step of the way. The plan is to make it bigger and better in 2018. All the material costs so far which has been mainly the ingredients used, the transportation/logistics and packing has been incurred by the volunteer bakers in the past year and half. The funds will be used for the expansion in 2018 by way of trying to help bakers with ingredients cost in a small way and also logistics. 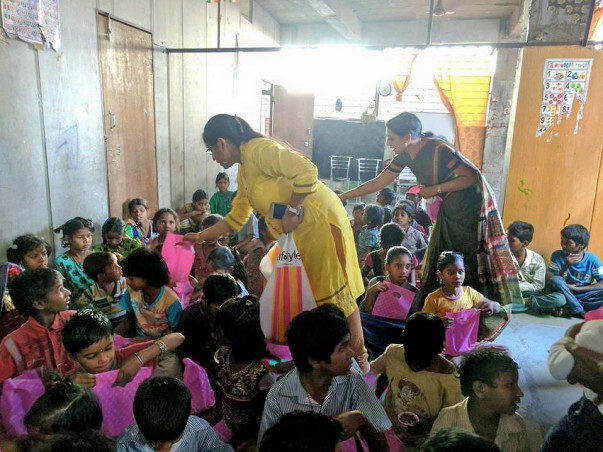 To give you an example, we had 60 bakers who baked for Children's Day distribution for 2800 children in the rural schools at Neelamangala. Since it was extremely far, most of the 60 bakers could not come physically and they had to drop off their bakes. So I fixed up 6-7 locations across Bangalore, where they could drop off their bakes. And then fixed a cab to pick it from all those locations and drop it to the NGO, who partnered with us. Needless to say it was a big task since it meant close to 6000 muffins being transported ( 2 pieces of different flavours per child and some extra). The logistics cost itself for 1 such event was Rs 3000. So such events will need some financial support even in a small way. 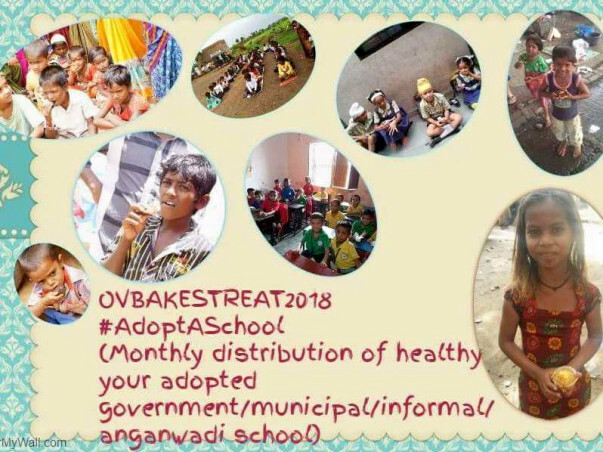 The approach for OV Bakestreat Program in the coming year will also be to add #AdoptaSchool wherein I will be asking bakers to select government or informal schools which cater to children of migrant labour, slums, rag-pickers and so on, in their local areas and distribute healthy bakes there consistently.